You have found what you are looking for if you have been trying to identify a Burbank, California home security resource you can trust. We have been building our reputation for over three decades, and this longevity tells you a lot about our customer satisfaction rate. Though we have this level of seasoning, we have always stayed ahead of the curve as home security system technology has advanced, so we provide the best of both worlds. Burbank is known as the “Media Capital of the World” because so many television and motion picture companies have significant presences within the city limits. It is a great place to live in its own right, and everything that Los Angeles has to offer is within easy reach. If you own a home in Burbank, a burglar alarm system is a must, and we can provide you with exactly what you need at a price you can afford. We serve people in all parts of town, from the Scott Road/Haven Way area to Vega to the West Alameda Avenue/North Buena Vista Street section. In addition to the home security systems that we provide for people that own residential property, we are commercial security camera system experts. When you have surveillance cameras strategically placed around your facility, you can deter theft and monitor the productivity of your employees. 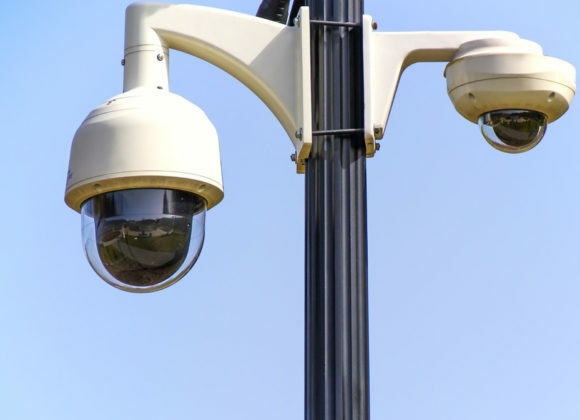 CCTV systems can also be very useful if your business is ever involved in a personal injury lawsuit or a workers compensation dispute. We specialize in fire alarm systems for Burbank, CA businesses. The state-of-the-art fire alarm systems that we source and install are highly effective, and we can keep a watchful eye 24 hours a day, seven days a week, 365 days a year from our dedicated monitoring station. Our CCTV systems can allow you to monitor activities once people are inside of your facility, but there is also the matter of access control. This is another area of specialization for our company. We sell and install numeric keypad access control systems, proximity card readers, smart card systems, and high-tech biometric access control systems that identify physical characteristics. If you are ready to take action, you can speak with one of our friendly, knowledgeable Burbank, California home security experts right now if you give us a call at 800-521-1958.